Health: Itchy Scalp? Check Out These Handy Tips - Something New Everyday! What an Itchy Scalp Means & How to Get Rid of It! Do you itch your head often? If that's the case, you probably know that a persistent itch on the head, specifically an itchy scalp can be bothersome. While dandruff may be deemed the culprit - as it is a common problem - there may be many other conditions that can cause a dry, itchy scalp including ringworm or a bacterial infection caused by an autoimmune condition. These are the most common reasons for an itchy scalp. Your body's inflammatory response to an overgrowth of yeast may cause itching and flaking associated with these conditions. Yeast normally lives on the scalp and other hairy areas of the body. Though the problem arises when there's too much yeast present. If it's mild, you can use an over-the-counter shampoo containing selenium or zinc pyrithione - ingredients that help control yeast. If it's more serious, you may need a prescription-strength antifungal shampoo, topical cortisone or medicated foam, solution, cream or ointment. This chronic autoimmune disease causes raised, reddish, scaly patches on the skin or scalp. While experts don't have a clear understanding of what exactly causes this skin disorder, it is believed that you are more likely to develop it if someone in your family has it. Over-the-counter medicated shampoos containing coal tar or salicylic acid, to control scalp psoriasis should help. If that doesn't work, book an appointment with a dermatologist so that they can prescribe shampoos and topical cortisone. More commonly known as ringworm, tinea capitis extends deep into the hair follicle, causing patches of hair loss that increase in size over time. The rash may first appear raised and with black dots, or as a stubbly appearance. If you have a ringworm infection, use an over-the-counter antifungal formulation to get rid of it. If it's on the scalp, your doctor will need to verify what's actually causing the problem before prescribing these powerful medications. Head lice is most popular among school children. 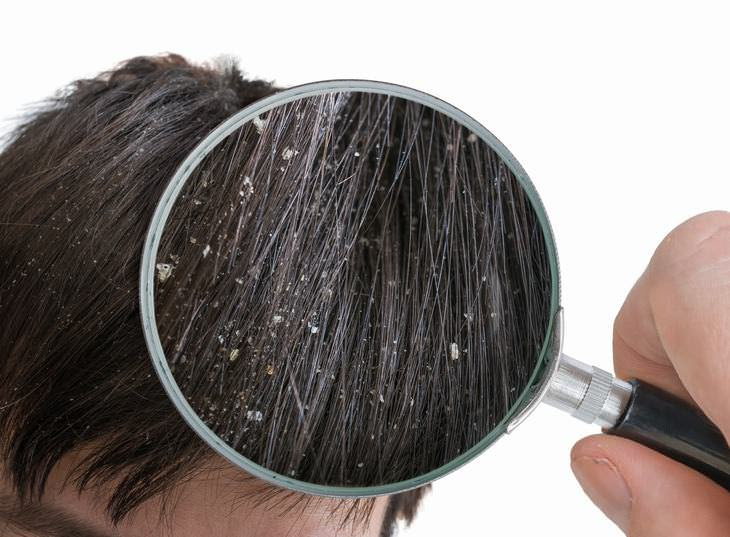 Contrary to popular belief, lice prefer clean hair, so it is not a matter of poor hygiene. Looking closely you can see tiny nits (eggs) attached to individual hair strands. While they may look like dandruff, they aren't as easily shaken off, because they are glued to the hair shaft. Thankfully, head lice can be treated with over-the-counter shampoos containing insecticides pyrethrin or permethrin. Just be sure to follow the exact instructions as each brand varies. Hair dyes, eczema and atopic dermatitis are other, though less common causes of an itchy scalp. While allergic reactions generally go away on their own once you've identified and avoided the chemical to which you are allergic, you may want to visit a dermatologist to help you sort out which chemical is causing the allergy. This amazing essential oil, provides antioxidant benefits and is antimicrobial, meaning that it has the ability to fight bacteria, viruses and fungus. Numerous studies have shown that it is great for various inflammatory symptoms including seborrheic dermatitis, helping with the healing process. A study published in the Journal of the American Academy of Dermatology closely followed the effects that tea tree oil had on subjects with dandruff using a shampoo that contained 5% tea tree oil. An improvement of 41% was reported by those who used tea tree shampoo, relieving the itchiness and dandruff. While it may seem off, exercise has been shown to help reduce inflammation associated with an itchy scalp. But the National Psoriasis Foundation reports that patients have seen positive effects due to yoga, tai chi or qigong and exercise in general. This could be due to controlled breathing, stretching and strengthening exercises, along with meditation which all help improve blood flow and relieve stress. 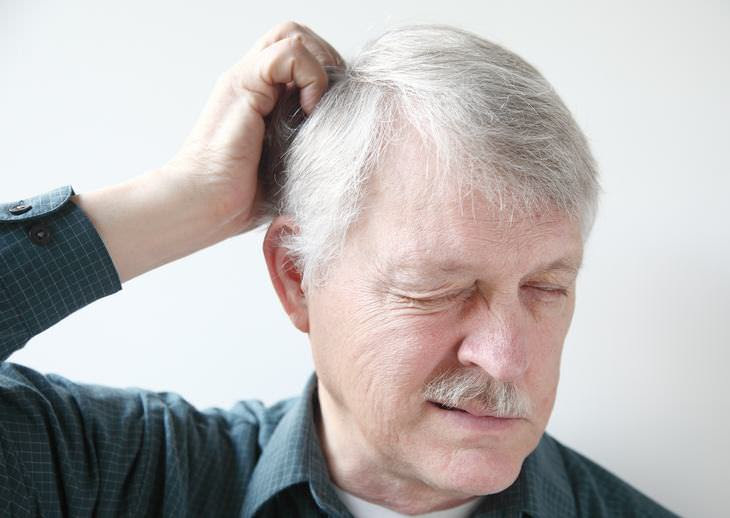 An itchy scalp is not always due to an itchy condition. Maintaining good personal hygiene is important and be sure to avoid sharing combs and brushes. Particularly since tinea capitis, or ring worm, is more common in children, make sure to take extra care with educating your children on hygienic practices. While it may sound good enough to eat, you should try a banana, avocado and honey hair and scalp mask. Honey is a beneficial ingredient as it can treat wounds, and may also help fight bacteria and fungi. A hair mask can also provide bacteria fighters and if used a couple of times a week, it can make a difference in a healthy way. Combine a small mashed banana, two tablespoons of honey and half an avocado, blend well then apply to the hair, covering the scalp and leaving it on for 20-30 minutes. Just like candida, fungus can be caused and inflamed due to the foods you eat. Avoid inflammatory foods which includes anything processed, with sugar, gluten, dairy, soy, peanuts and alcohol. Rather, fill your diet with antifungal foods including garlic, apple cider vinegar, banana, avocado, flaxseed, ginger and coconut oil. Chemicals tend to exist in most products found on the shelves at your local store. These chemicals can cause an itchy scalp, bumps on the scalp and other scalp conditions. Thankfully, it is an easy fix. Simply avoid the chemicals and choose natural remedies, making your own where possible.